Once upon a time there was girl named Olya who wasn’t behind on her Project Life album. That time was a long looong time ago. 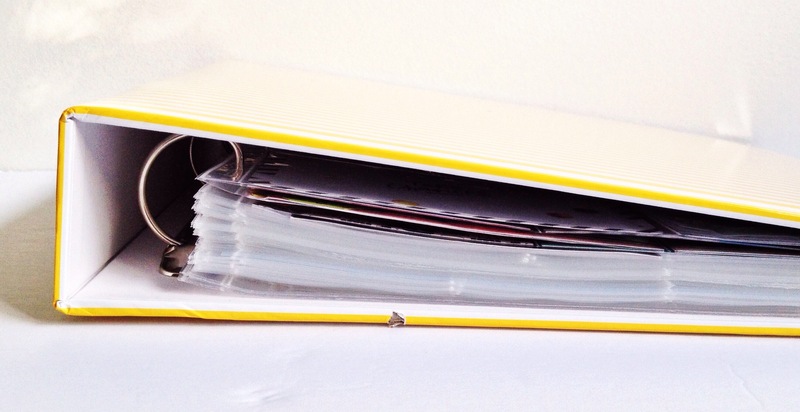 When I first started Project Life in 2013, I made a system that every Saturday I would dedicate a chunk of time, sit down and document the week that passed. I did that perfectly for 8 weeks and on the 9th week I took that dedication and system for granted, feeling that I was doing the same thing over and over again (big BIG mistake) and let the weeks pile up undocumented. I fell behind 3 weeks and remained 3-4 weeks behind through the ENTIRE rest of the year. Actually November and December of 2013 still aren’t documented. Oh yes. This year I started out good but later on some weeks piled up, and now I’m two months behind. Though I’m not as stressed about this predicament as I was last year, it still bugs me that A) I let this happen (fine, we’re human and that’s what happens when you actually spend the time living your life instead of scrapbooking it) but most importantly B) that I’m complaining far more than actually doing something about it. Caylee (bless her golden soul) wrote an amazing blog post about how she caught up on 16 weeks of Project Life in no time with what seems to be superhero speed. That was the very last straw of inspiration and kick I needed to break my camel’s back of inaction, saying enough is enough. I have to remember if this was an assignment for a Design Team position I would just get it done because I would want it badly enough. Well, I’m going to treat myself the same serious way. Commit, work hard, and get this done. No more talking, just actions. I’ll be posting my progress on Instagram, using #letscatchuponprojectlife hashtag. If you’re behind and would like to catch up, please join me. Let’s keep each other in check. No more excuses, let’s do this. Oh I’m with you, I’m behind as well. Not 20 weeks but almost! We can do it Olya. Great incentive. K.
Yay! Totally with you on this. I’m drafting my own proposed catch-up schedule right now. You’re so inspiring! I’ll definitely be following along with this. I’m right there with you!!! I’m all of 2014 behind, so my catch up goal will take a lot longer. This is going to be a blast! If I were any further behind I would be ahead!! This is exactly what I need – simple process (pretty similar mine when I use it); a challenge; and basically a kick start! OK I am in on the challenge. Need to fire up my printer!! 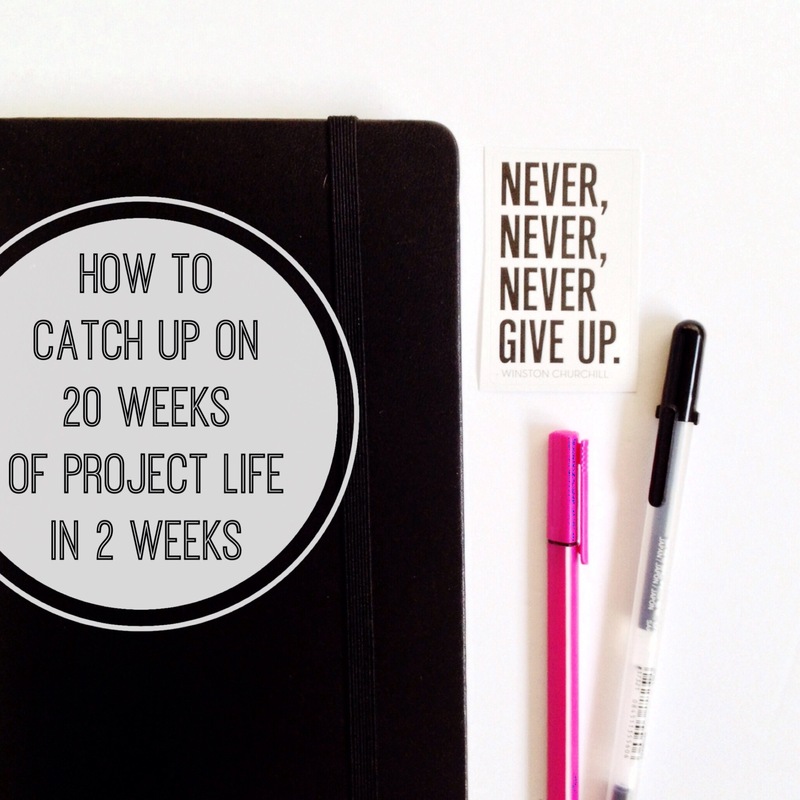 Pingback: Project Life 2014 // catching up on 20 weeks of Project Life in 2 weeks | amelia writes. I am so in! I need to catch up beacuse I am starting to see discouragement coming to me. I don’t want to be 2 months behind…. 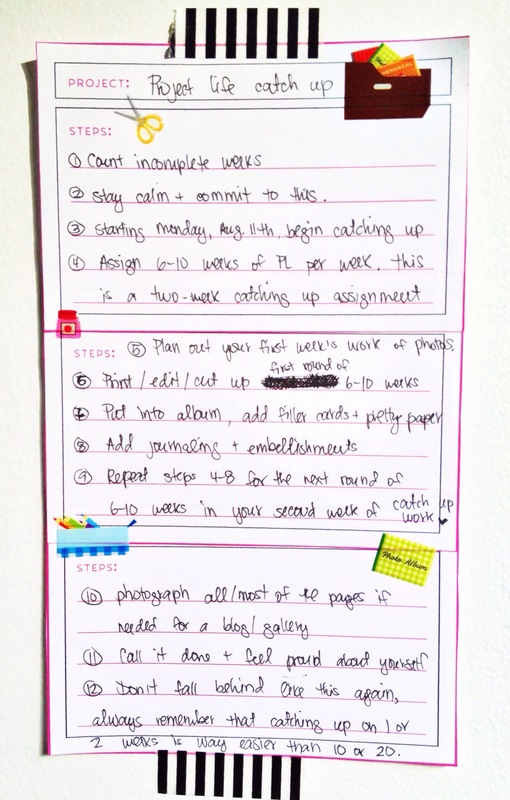 Pingback: Project Life 2014 | catch-up progress | amelia writes. I will definitely give this a try. I’m *way* more than 20 weeks behind. LOL. I found this post (via Caylee) while I was procrastinating on Pinterest. Hahahaha. I’m not stressing myself out about it, but I still have a ton of 2013 to do and most of 2014. LOL. I love that you gals are so inspiring.